The acquisitions continue Groupon’s rapid global growth and extend its reach across India, the Middle East and South Africa. In just three months since launch, SoSasta has grown to run daily deals in 11 Indian cities. Serving Tel Aviv and surrounding cities since March 2010, Grouper is widely recognized as the first and largest deal site in Israel. 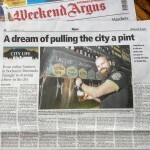 Twangoo has rapidly grown to serve the most cities of any deal site in South Africa. 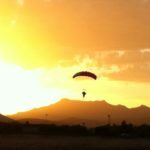 All three sites will transition to the Groupon brand name and site design in coming months, and will serve deals in the local communities’ primary languages: English in India and South Africa and Hebrew in Israel. To my best knowledge my blog post “Groupon to launch in South Africa in cooperation with Twangoo” dated December 17th was the first public posting about the Twangoo/Groupon connection and I got quite some interesting follow-up conversation with industry people that indicated the takeover deal that was finally announced today. 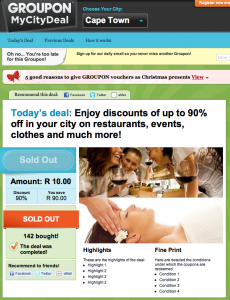 – groupon.co.za is currently owned by competiting dailydeal-site wicount and they might face the same problem they’re currently facing in Australia: they offered the local domain owners “about $286,000 for the Groupon.com.au domain and trademark” but only got a counter-offer to buy the whole competing business in a package deal. Now that Groupon was stupid enough to publicly value their own brand-typo-domain, I’m interested to hear what might happen if Wicount goes the same route. 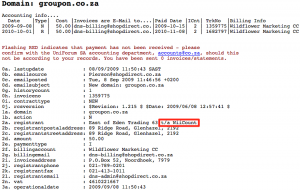 Will Groupon go to court about the very essential domain name groupon.co.za or will they simply put cash on the table and possibly buy the whole Wicount business ending up with two local companies? As the whole startup world is going crazy over Groupon and it’s alleged 6 billion $ (US, not Zimbabwean!) 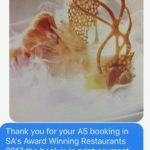 offer from Google, I just want to look onto the tiny South African market, where it looks like Group-buying ‘Giant’ Groupon is about to launch under the domain name mycitydeal.co.za. 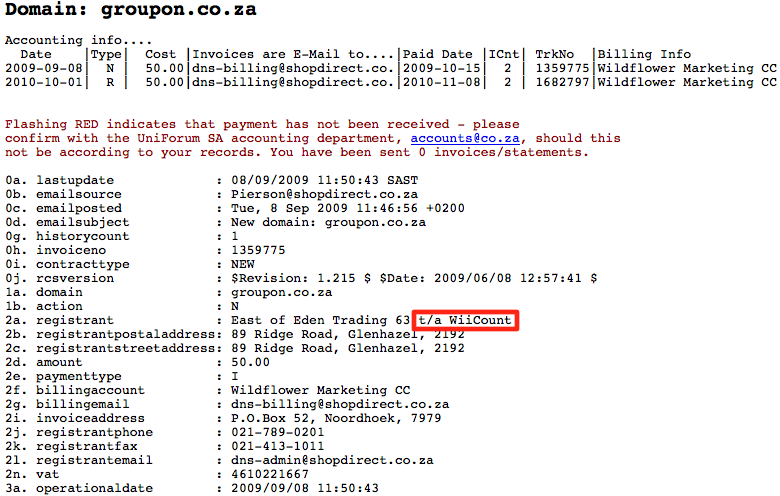 They use that rather lenghty and generic domain, as the groupon.co.za domain, seems to be registered by Competitor WiiCount. Responsible for the content of this website: Twangoo South Africa PTY Ltd.
Groupon seems to cooperate with one of their clones when it comes to the sales side of operations instead of setting up their own local sales force: To me this is somehow surprising, as Twangoo (part of a group of global groupon clones) is a direct competitor to Groupon in the South African market and I wonder who’s going to get the better deals or if both platforms will see identical deals every day… Maybe this is also a sign that Groupon and Groupon Europe (that started as citydeal.de and were just aquired by Groupon a few months ago) are getting closer to other clones and think about aquiring Twangoo soon?